We have our schedule for the new club year finalized. Click the 2018-2019 tab on the banner on the home page to preview. 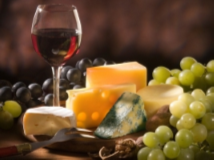 First meeting will be our wine and cheese reception. The club will supply the wine. Members, please bring hor d’oeuvres or desserts. Don’t forget to bring your dues. This entry was posted in Current Events and Outings by Dianne Machesney. Bookmark the permalink.